Global Episteme aims to promote quality research and real-world impact in an atmosphere of true international co-operation. Stimulating the generation and dissemination of new knowledge and to provide a platform for all researchers and academicians which are designed specifically to promote interactions among members. Each conference addresses current innovations, research findings and brings together leading experts in the field from around the globe. 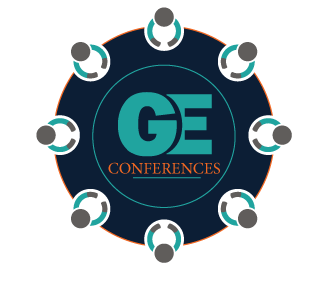 GE shows its interest in special topics through its introduction of a series of smaller, more focused meetings addressing specific industry or subject themes. We have a strong commitment to providing opportunities for conference participants to interact, converse, and learn from each other through the conference’s intensive three-day program featuring oral sessions, poster sessions, workshop and symposia. New ideas and approaches that make more effective and efficient at work. Presenting your ideas will make you more confident about the work and gives you new perspective. You will have the opportunity to get feedback on your work & research from people who have never seen it before and this may provide new insight. Attending academics conferences gives you priceless chances to sharpen your saw by learning new skills in a different environment. Conferences are another way to get your name and your work out there as you begin to establish yourself in your field of study. Meeting new people with different experiences and dispositions enlightens your way of thinking in your field of study. You will also get the chance to socialize with your colleagues at coffee breaks, lunches and networking sessions. For students, researchers, academicians and business delegates; conferences help to make research on a particular subject easier and provide access to various research activities with current findings and developments anticipated from them. Attending an academic conference is an opportunity to build networks and connect with other academics and experts in the same or similar field of studies all around the world and to share thoughts, perspectives and views on recent advances and technological breakthroughs. It is an opportunity to expand the knowledge that one has and upgrade performance in accomplishing institutional objectives. Conferences bring together people who share a common discipline from different parts of the world, bringing different forms of ideas which build into something greater. Conferences pave the way for scientific cooperation by meeting and connecting with researchers from different countries. It is fundamental to find out what’s new in your field of study, the novel & approaching techniques to survive in an academic discipline. Academic conferences will keep updated on new findings instantaneously. A good conference forces you to grow and challenge yourself. The flip side of learning new things is relearning classic techniques. Conferences create opportunities for greater focus and reflection that could help you take your academic/business to the next level. When one attends an academic conference he/she is sure to meet people of his or her same stature, mindset and goals. This is a motivational factor as one aspires to overcome fears and achieve one’s dreams. It allows you to learn about new people and their culture & feel pleasant traveling to new places. New techniques, novel approaches, unpublished data, or learn from thought-leaders that you may not have previously heard of. You will get to keep onto of the research of some of the biggest names in your field. Conferences give you the opportunity to talk to these people about what they are working on, and you will get advices and suggestions on how to enhance your own work. You will get the opportunity to discuss with the presenters about their work and research ideas. This is a double benefit of attending conferences, not only may you learn things outside your field of areas of research in your discipline, but your attendance also have many sessions for professional development and career. The attendees are united by a single broad topic but they have many different sub-fields of study, and many projects will be multidisciplinary. Conferences will take you out of your comfort zone and encourage you to think out of the box. Our experts; speakers and attendees are highly skilled and experienced professionals, inspirational in their passion that makes a long – term positive impact. Speakers alone are some of the best reasons to attend conferences. By attending their presentations, you will learn and improve your own skills and knowledge about your field. It is also important to engage with their work, ask questions, discuss, can converse with other researchers from different universities and even countries and perhaps go and interact with them. Attending international academic conferences will make you a known figure in academic circles, not to mention the benefits for your resume as it will create an impression that you are an active member of the academic community. An academic conference is a great way to have a “break” from your academic. You’ll feel relaxed and refreshed when you return after the conference. You can also extend your participation to a well-deserved holiday in that country also gives you the opportunity to travel and discover different and new places. We hope you will find the conference enjoyable and professionally satisfying.